In this series, we highlight the inaugural group of nine cities to achieve What Works Cities Certification and the five cities selected for the Certification Honor Roll. As part of being awarded the certification, each city received an ELGL all-in membership. What Works Cities Certification recognizes and celebrates local governments that are leading the nation in the use of data and evidence to increase government effectiveness and improve services for residents. 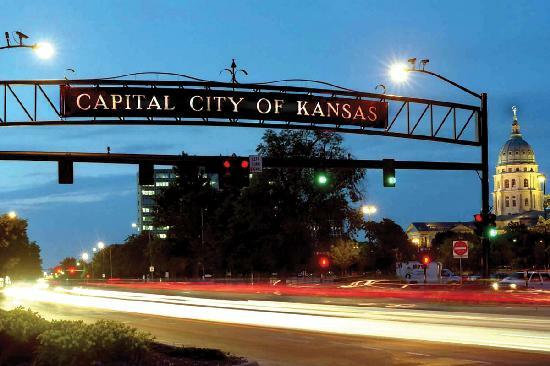 In this post, Leigha Boling, City of Topeka, Kansas, Performance Analyst, provides insight into Topeka’s recognition on the Certification Honor Roll. We ask our guests to give us their top four responses for a variety of categories. The city’s internal Data Governance Committee (DGC) was excited for the opportunity to participate in a thorough evaluation of the city’s current data practices, policies and procedures, to increase accountability, and understand the data needs of the organization; all while understanding how they measure-up and relate to the What Works Cities Standards and best practices of data. Using performance data metrics, the city actively monitors quarterly variations in operational data to evaluate city services. Through the performance data that is collected from each city division, discussions on prioritization and budget allocations take place to address potential problem areas that could impact the ability for services areas to meet overall city priorities and objectives set forth by the Mayor and Governing Body. Develop a certification team with the help of top leadership (City Manager) that will meet, gather and develop materials for the certification process, and actively address questions regarding the requirements of the certification. Develop a to-do list with a corresponding timeline and deadlines. Actively reach-out to city departments to engage them in the certification, understand their department processes and where there are potential gaps according to the certification requirements. The certification team meets regularly and has developed an action plan for addressing the city’s gaps in the certification requirements. The team has used the certification process to understand where departments need assistance in developing procedures and areas where data can assist in making data-driven decisions. Using the value created by the certification criteria, the team has been able to emphasize and create a foundation for an action plan that first addresses major areas in need of procedural development and support to close the gaps in certification criteria and improve on best practices. The action plan includes a list of specific initiatives and priority items that need to be addressed with specific divisions and departments. The team has worked with the City Manager and Deputy City Manager in reviewing the necessary requirements that will take the city to the next level of certification. The specific divisions and departments have been included in the certification process and are aware of the areas that will be address and the initiatives within the action plan. There are multiple questions for other cities that achieved certification in the areas that the city has gaps in procedures and data. There is not one question that can provide a solution for the areas that need improvement but the team has worked together with the support of the What Works Cities to develop an action plan and research information that supports improvement efforts in meeting the criteria. What was the most valuable information or take-away from going through the process and receiving the level of certification that your city did? The most valuable information and take-away that the certification process and level provided was the insight into our own city’s procedural processes and what information and data was missing from driving our organization to making data-driven decisions. The overall value that the What Works Cities Certification process provided was a true evaluation and the evidence for areas that can increase efficiency through the improvement of practices, procedures and policies.